Though it annoys many, it is not hard to understand the rush to get up Christmas displays, even pre-Halloween: Christmas sales are driven by the most powerful force on Earth: the American consumer. Action Line hates to be the Grinch, but pre-Halloween Christmas sales are driven by the most powerful force on Earth: the American consumer. When patriotic shoppers John Q. and Jane Q. Public want something, every nation in the world will rush to produce it. Except America. That’s because we’re too busy buying stuff to make stuff anymore. Not that the U.S. of A. was ever a major producer of plastic Christmas trees and glowing lawn reindeer. And please note that domestic manufacturing of fake flora and fauna will not make America great again. Action Line discovered that fact while reading embarrassing private emails leaked from an FBI investigation. Dang, this election is a drag. The political season is way too long and only serves to annoy and alienate. Kind of like the Christmas season arriving before the leaves are off the trees. The co-existence of jack-o’-lanterns and tanenbaums is known as “Christmas Creep,” describing yuletide promotions relentlessly “creeping” into October or (gasp) September. As for the elections, we could call it “Political Creep,” describing how campaigns rev up a year-and-a-half before anyone can vote. Political Creep also describes the candidates. The elections end in a week and a day. Mrs. Action Line, regrettably, had to pick up some things at Walmart. She reported that blue-vest crews had already decked the halls near the Garden Center. On the way home, SiriusXM satellite radio giddily announced that its “Holly” channel, featuring contemporary Christmas songs, will begin broadcasting Wednesday afternoon on channel 17. The vast majority of Americans say they resent Christmas Creep. But their actions speak another message. According to the National Retail Federation’s 2016 consumer spending survey, almost two-thirds of Americans plan to do their holiday shopping in October or November. Only 15 percent of Americans say they’ll hit the stores in the first two weeks of December, while a puny 3 percent say they will procrastinate. Is it any wonder that Christmas stuff goes up before Halloween? Until we put the “no” in noel, nothing will change. 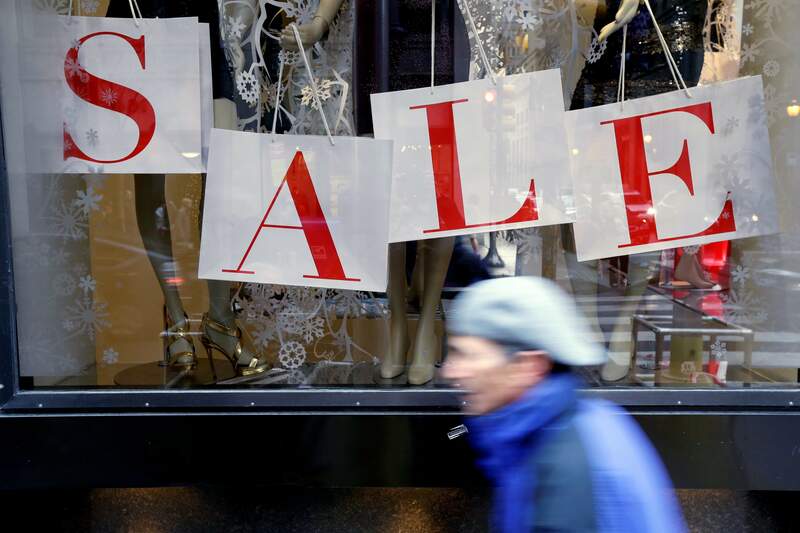 The federation’s survey also found consumers plan to drop an average of $935.58 this holiday shopping season, down 20 bucks from last year’s estimate. Interestingly, the federation blames the decline on the election. “Political advertisements are taking up ad space that retailers typically use to get holiday shopping on the minds of consumers across the country,” federation president and CEO Matthew Shay was quoted as saying. So let’s get this democracy thing over with so we can do some retail therapy. Email questions to actionline@durangoherald.com or mail them to Action Line, The Durango Herald, 1275 Main Ave., Durango, CO 81301. You can ask for anonymity if you’re handing out the good candy tonight: fun size Snickers, Almond Joys and Reece’s.